The advantage we have is that while our resources and experience match those of larger, chain companies, we are able to give each of our clients personalized attention and flexibility. We also give our clients peace of mind by emphasizing fairness, accuracy, and full disclosure at all times. Whether you are leasing, financing, buying or selling, we will take pride in our relationship with you. Myriad fares better than its competitors through the mutual respect of and total cooperation with all real estate agents. No effort is made to keep a listing in-house, and every effort is made to serve our client's interest first and foremost. We always follow up with previewing and showing agents. We are quick to generate spreadsheet illustrations, sales comparisons, qualifying sheets and any other information that helps a sale progress smoothly and efficiently. We help you save the time it takes to find and research real estate for sale. We seek the most up-to-date and accurate information; our abundant resources of information are what keep us well connected. 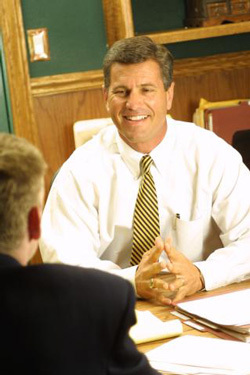 Negotiation is one of our favored strengths, and careful attention is paid to all the facts. This way you will be able to make knowledgeable and confident decisions. As a loan broker, Myriad is a pricing leader. We provide diligent service and low margins that enable borrowers to obtain the best rates available. © 2016 Myriad Real Estate Group. All Rights Reserved.